What would happen if your company suddenly lost all its IT information due to a flood, fire, or system meltdown? 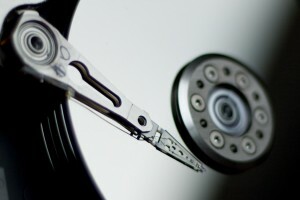 Do you have a data backup and recovery program so you can get it all back? DCG offers complete, reliable data recovery and backup options for businesses like yours. Your data protection strategy should include more than just an in-house backup copy – if your office were destroyed, your chance of data recovery would be gone, too. A catastrophic event might seem unlikely, but there are plenty of other threats to your data that could bring your business to a halt. A virus or system failure could keep your business down for days. There are too many threats out there for New York businesses to operate without an off-site backup. Without access to your data, you wouldn’t be able to fill orders, notify your customers, or work with your vendors – and getting new leads and sales would be nearly impossible. How long would you be able to put things on hold? Could your business survive?